Railway Recruitment 2019 notification is out and nearly 13,487 vacancies have been announced for junior engineers (JE). The Railway Recruitment Board (RRB), which is a Government Organization in India, has invited applications from engineering graduates for the JE posts via a Centralized Employment Notification (CEN). Interested candidates can apply online through all their respective region based official websites till 31 January 2019. The tentative date for the first stage computer based test (CBT) has been announced to be either in April or May, 2019. Junior Engineer (JE ) in the disciplines of Information Technology [JE(IT)], Depot Material Superintendent (DMS) and Chemical and Metallurgical Assistant (CMA) are being hired, as per the CEN. Hiring will be based on the performance of the candidates in the CBT says the official railways website. The candidates must be in the age group of 18 to 33 years; however, there is a certain age relaxation for SC/ST, OBC, persons with disabilities and ex-servicemen. The candidates must also be declared medically fit. The only mode for applying for the job is online on the official railways website, and RRB advices candidates to not fall prey to fake job offers and racketeers. Candidates are required to have the requisite educational/technical qualifications from recognized Board/University/Institute as on the on the closing date for online registration, which is 31 January 2019). Furthermore, those awaiting results of the final examination for the prescribed qualification are not eligible to apply for the jobs, says the notification. There are various disciplines of engineering that are suitable for the jobs, some of them are as follows: Three years Diploma in Civil Engineering or B.Sc. in Civil Engineering of three years duration or (b) a combination of any sub stream of basic streams of Civil Engineering from a recognized University / Institute; Three years Diploma in (a) Mechanical / Production / Automobile / Electrical / Electronics / Instrumentation & Control Engineering; Three years Diploma in (a) Mechanical / Electrical / Electronics Engineering OR (b) a combination of any sub stream of basic streams of Mechanical / Electrical / Electronics Engineering from a recognised University/ Institute; and so on. Candidates can refer to Annexure A of the CEN to check if they are eligible to apply. Candidates are required to go through the CEN carefully to ascertain their eligibility and the mode of application would be through Online to any one official RRB only, depending upon their eligibility. The selection of RRB once exercised shall be final. Application to more than one RRB, will lead to rejection of all the applications, says the notification. Candidates are advised to take caution while registering and must do so using their correct mobile number and valid e-mail ID as all recruitment related communications will be sent through SMS and e-mail, and no changes will be allowed to be made after submission of online application. Care should be taken while filling educational qualifications: however, modifications will be allowed to be made in case of error in qualifications twice and at the cost of Rs 100 each time. Scanned passport size photos and scanned signatures will be required, and SC/ST candidates need to furnish scanned documents while applying. An application fee of Rs 500 will be required to be made by regular candidates out of which an amount of Rs 400 shall be refunded duly deducting bank charges, on appearing in 1st Stage CBT, says the notification. And, the SC / ST / Ex-Servicemen / PwBDs / Female / Transgender / Minorities / Economically backward class candidates will be required to be made a payment of Rs 250, and this fee of Rs 250 shall be refunded duly deducting bank charges as applicable, on appearing in 1st Stage CBT. Candidates will be selected based on the online applications and performance in the computer based tests. Selected candidates will be eligible for an initial pay of Rs. 35,400 per month, plus other allowances admissible at that time. The syllabus for the first CBT would be Physics, Chemistry and Life Sciences (up to 10th Standard CBSE syllabus) and the second CBT would be pertaining to General Awareness, Physics and Chemistry, Basics of Computers and Applications, Basics of Environment and Pollution Control and Technical abilities for the post. The syllabus for General Awareness, Physics and Chemistry, Basics of Computers and Applications, Basics of Environment and Pollution Control is common for all posts. For more information and syllabus of exams, interested candidates can click the following link. 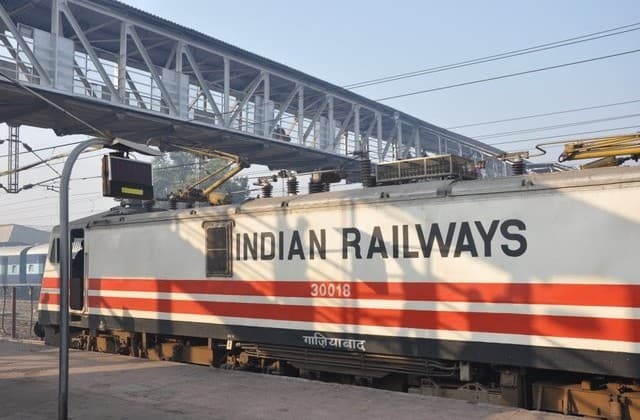 Railway Recruitment 2019: 13,487 Railway Jobs for Junior Engineers, Starting Salary Rs 35,400 0 out of 5 based on 0 ratings. 0 user reviews.